Montage has been restoring Saarinen Executive Chairs for years in every fabric one can imagine, right in our very own workroom. 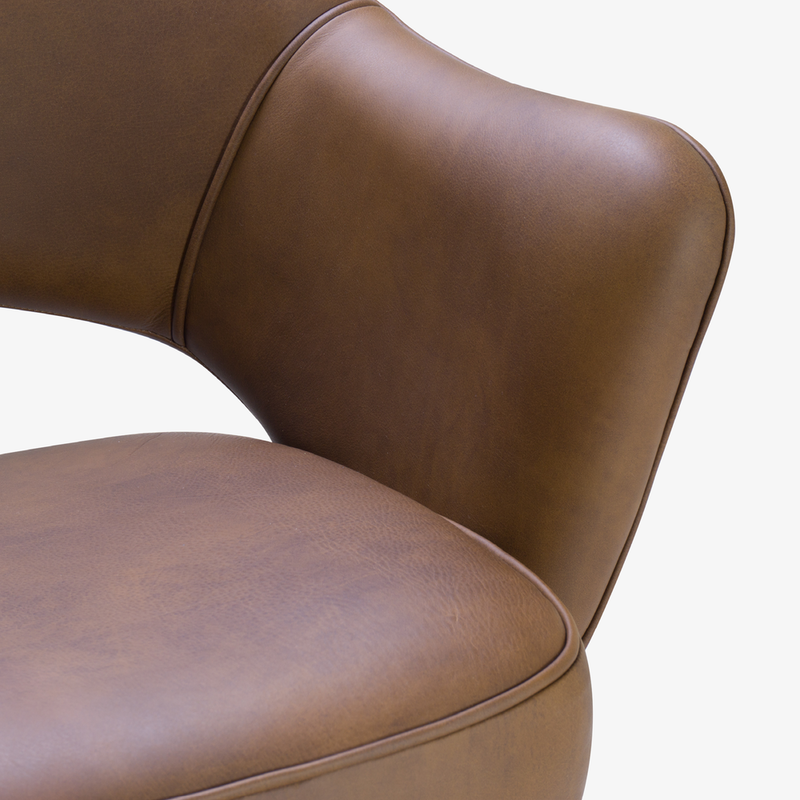 We’ve restored these chairs using stunning Italian Leather with many colors to choose from (shown in Saddle). Skilled craftsmen bring each chair back to life to live on for generations to come. All restoration is executed in line with original specifications. In addition to new fabric, the foam in each chair is replaced and the bases receive a thorough polish. 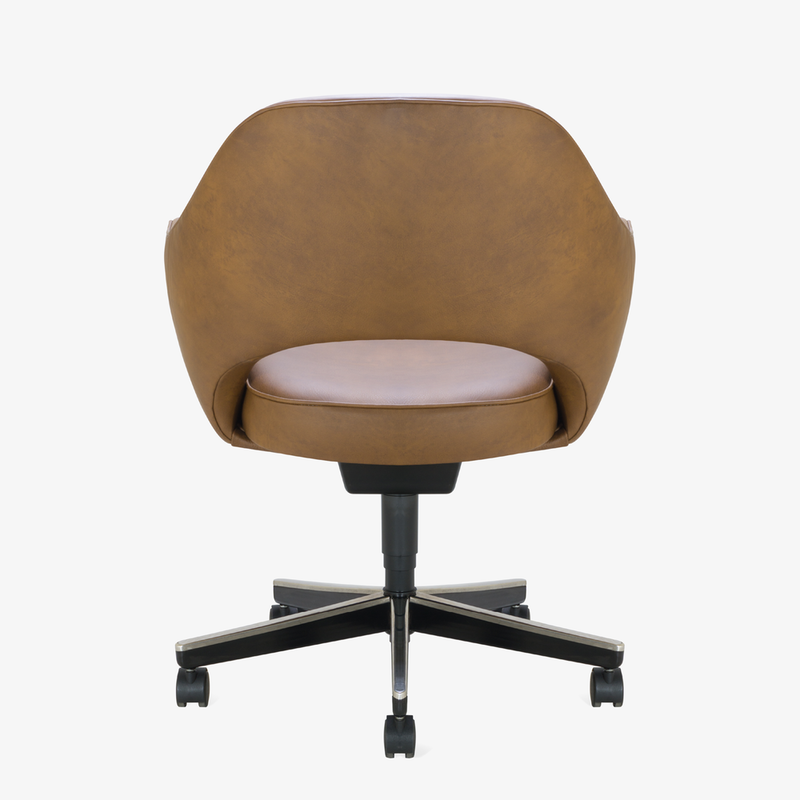 This chair features a contemporary iteration swivel base and is equipped with tilt, swivel, and height adjustment; all modifiable for optimal comfort.